Do you love Ben and Jerry’s ice cream? If you’re fond of the flavors Chocolate Fudge Brownie, Cheesecake Brownie, or Brownie Batter Core, then you’ve already nibbled on brownies from Greyston’s inclusive bakery in New York. This innovative social enterprise bakes 35,000 pounds of brownies for Ben & Jerry’s on a daily basis, and that’s only one of its significant accomplishments in the past 35 years of operation. 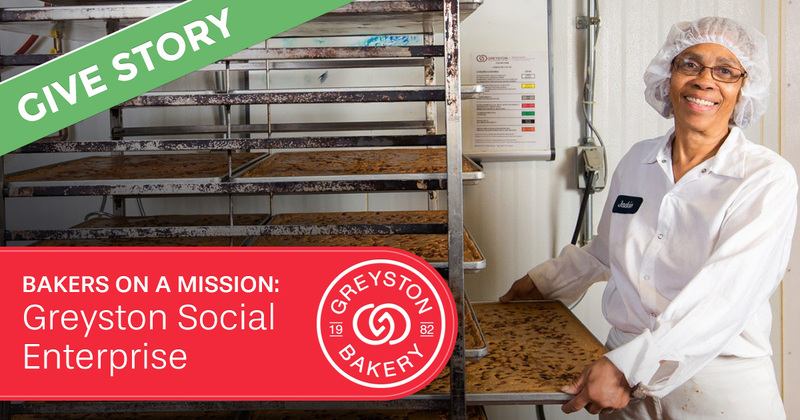 Homegrown in Yonkers, New York, Greyston’s bakers told us that they are on a mission to change lives through the practice of radical inclusion and OpenHiring™. 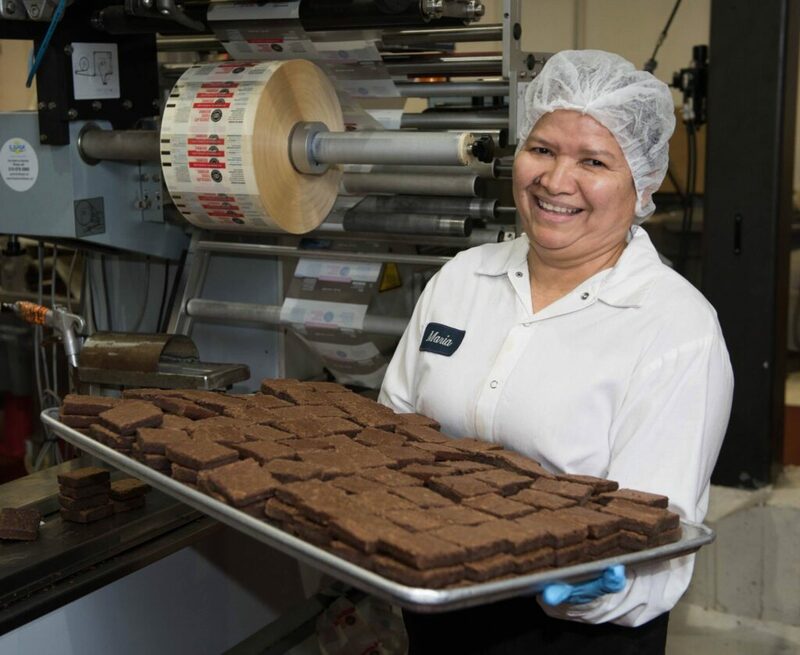 Individuals that struggle with common barriers to employment are hired to work for the world-class bakery, where they join a supportive team and participate in a wide range of community programs. The OpenHiring™ model creates equal employment opportunity for anyone that comes through the door regardless of work history. Sourced from the local community and promoted from within, the team responsible for Ben & Jerry’s and Whole Foods’ brownies are not only purpose-driven but damn good bakers too. A collaborative learning space that evaluates, improves and defines best practices, The Center facilitates the widespread adoption of Open Hiring and supports innovation in the delivery of Community Programs for employees and neighbors. We dare you not to drool over this pan of fresh brownies, or be charmed by that smiling face. The extent of Greyston’s impact is evident, which is why it’s a no-brainer that in 2000, Greyston was recognized as a B Corporation. A “Benefit Corporation” is a business. 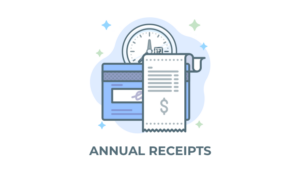 A real, operating business with clients, employees, expenses, income… the whole kit and caboodle. The difference between a B Corporation and a regular corporation, which are both for-profit organizations, is that social impact acts are a stakeholder in their business. 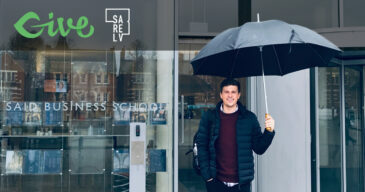 This means business efforts are measured by the positive impact on society, as much as they are on traditional business KPIs. Social impact is the most significant performance indicator. In order to operate as a B Corporation, businesses are subject to a lengthy application process to validate that your organization truly is invested in benefitting the greater good of society. 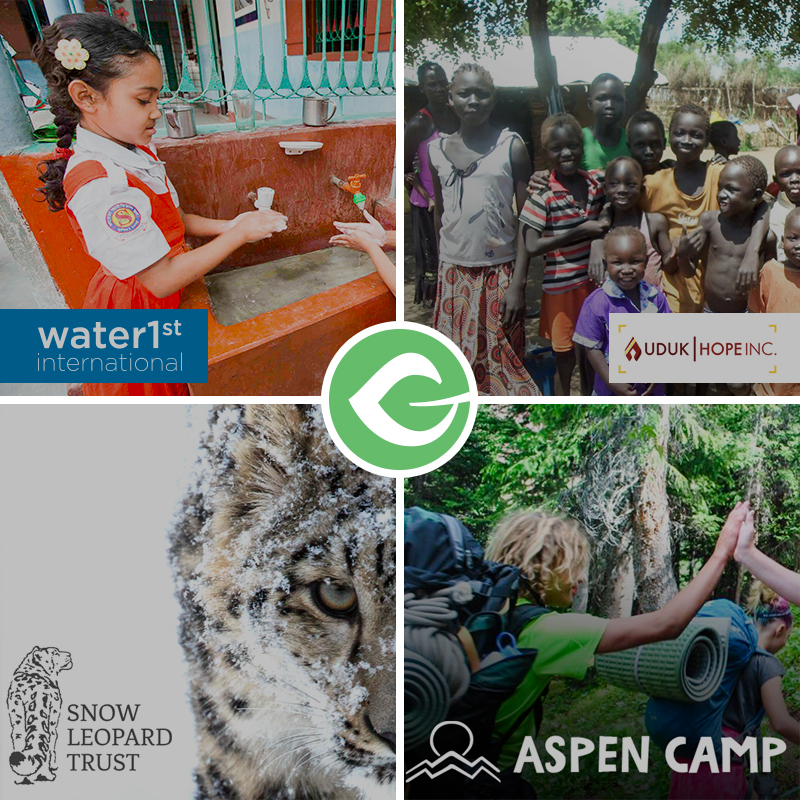 Greyston operates with a “Triple Bottom Line.” Their three main objectives are to create jobs and foster personal development for local residents, create revenue to support the Greyston Foundation, and mitigate environmental impact. 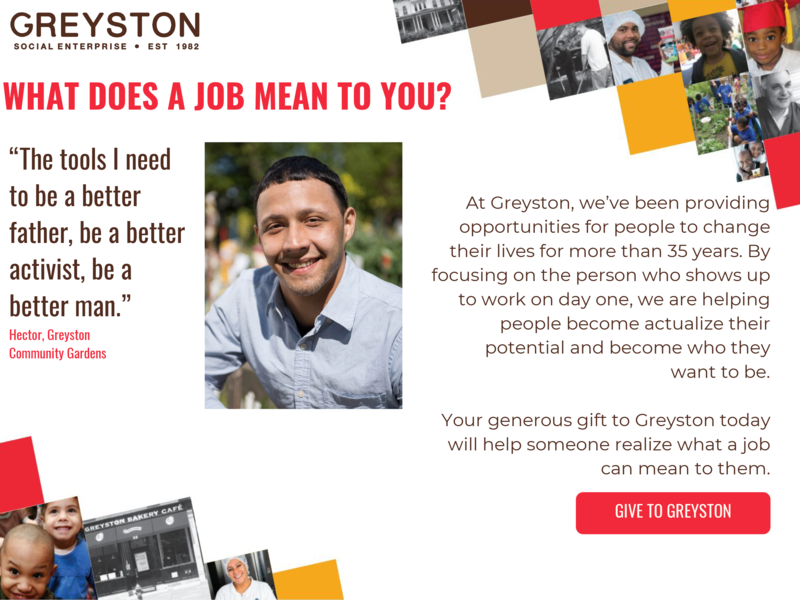 As the first benefit corporation in the state of New York, Greyston is leading the way for other local B Corporations with its OpenHiring™ advocacy. 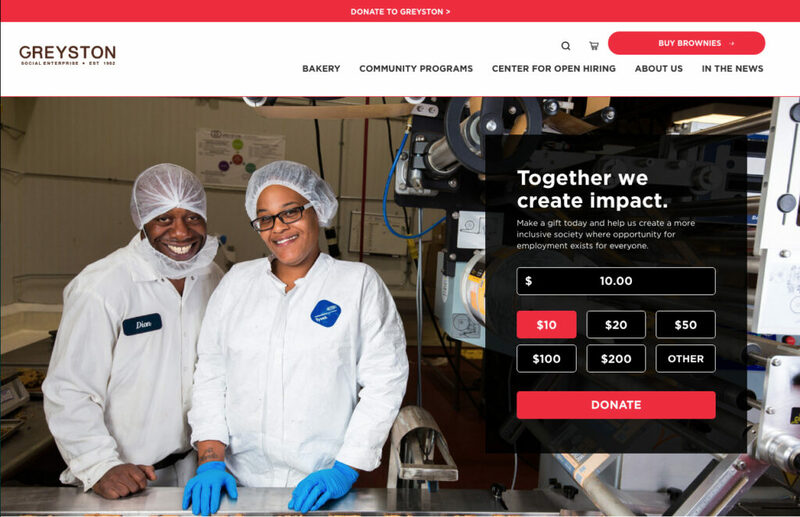 In collaboration with Manoverboard, a digital agency, and fellow B Corporation, Greyston was able to take their Give implementation from functioning to fundraising. The team at Manoverboard conducted a series of user tests on their Give form. After a series of user test, they concluded that changes needed to be made to optimize the Give campaign from good, to great. Within days of launching the new donation page, contributions increased dramatically. Tied with a simple and compelling email and social media campaign for end of year giving, donations amounted to over $20,000 in a single month. 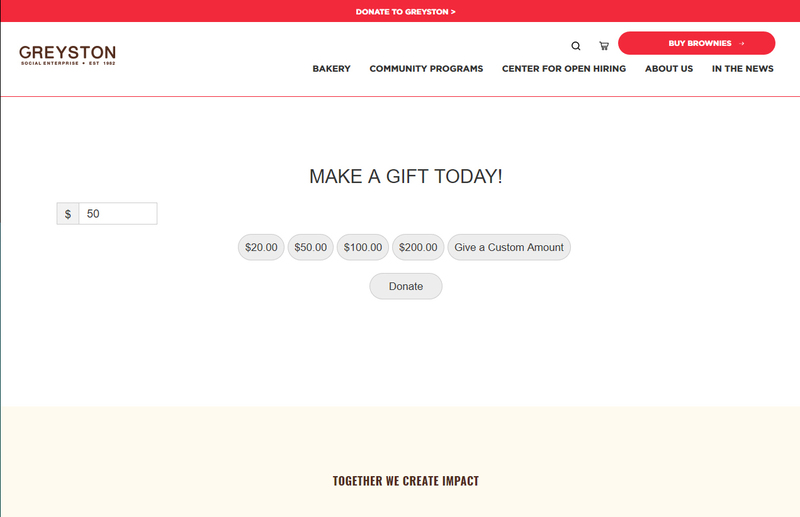 This exceeded expectations but confirmed Manoverboard’s hypothesis that a simple donation form tied with strong imagery and messaging would mean better conversions and higher dollar value contributions. A confident design and technical implementation helps assure prospective donors that their hard-earned money will be used responsibly. Notably, 100% of donors generously decided to help cover the costs of the credit card processing through the Fee Recovery feature. Greyston’s results emphasize the value of A/B testing your campaigns and iterating when necessary. The Manoverboard team continues to test, tweak, and evaluate the donation page and conversions to help Greyston increase engagement and giving. 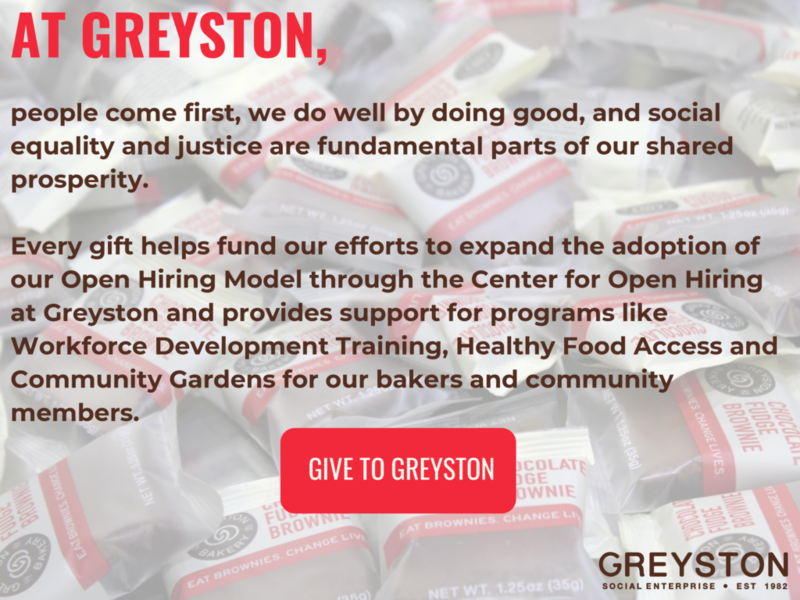 Donate to Greyston, and support the adoption of radical inclusion, today! Taylor Hansen is a WordPress expert with an eclectic background in sales, marketing, and project management. Currently, the Marketing Manager for GiveWP, Taylor also moonlights as a blogger and serial entrepreneur at tayhansen.com.